Our new wedding venue is the perfect place to create memories that will last a lifetime. Among the Weeping Willows, you will feel peace, harmony and balance. 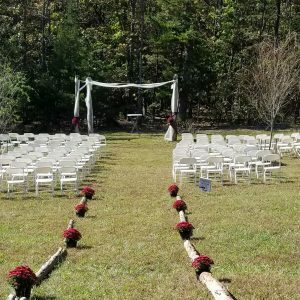 Within a one hour drive from Roanoke, Lynchburg or Smith Mountain Lake, the ground you are being married on has been brought back to life with biodynamics, organics and the blessing of Mother Nature. Our place is as organic as the feelings that brought you to this day.